With the growth of Internet connectivity, the ability to conduct business in the global marketplace is more accessible than ever before. This accessibility also opens opportunities for new types of risks and the demand for multilingual translation in legal departments and law firms is on the rise. Global law firms and international companies require specialized support from outside expertise to meet their needs with complete accuracy and fast results. At Alpha Omega Translations, our legal translators have mastered the language of the law – domestic and foreign – to guarantee judicious interpretation of the original records and effective legal translation. In-depth knowledge and understanding of the differences of the legal systems of the countries involved and cultures impacting them are a critical piece of legal translation. 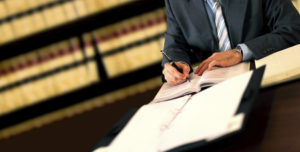 We have provided superior legal translation expertise to the Department of Justice, Department of Defense, The Office of the Federal Public Defender, law firms, legal departments of corporations, international organizations and more. For more information about Alpha Omega Translations, please visit our www.alphaomegatranslations.com.